Walk in the footsteps of our tupuna, become a Kaitiaki of our legacy. Our scholarships are designed to build our leadership, connecting talented people to our rich cultural heritage and legacy. We support a range of disciplines, with preference for studies related to our business such as law, accounting and marketing. Studies in the applied sciences of viticulture, aquaculture and horticulture are a priority. Whenua is at the core of our legacy, and careers in property are critical to our future development. Each scholarship provides the successful applicant with financial support for fees and books, up to a maximum of three years. There are also bonus opportunities for studying Te Reo Māori and achieving academic merit. Study can be in New Zealand or overseas but must be through a recognised tertiary provider. Applicants must be Wakatū shareholders or descendants of Wakatū shareholders and demonstrate a strong desire to get qualified. To apply for a Wakatū scholarship please complete the online application from which a shortlist and interviews will be carried out. The programme has been supporting Wakatū whanau since 2000 – we are enormously proud of what they have achieved. I am currently in my fourth and final year studying a conjoint degree in Bachelor of Laws(Hons) and Bachelor of Business Analysis. In November this year I am starting a summer internship with Kahui Legal, a Māori legal firm who expertise in legal issues that affect Māori and the interface between Iwi, Māori organisations and the Crown in areas such as the Treaty of Waitangi, natural resources and commercial law. “Ehara taku toa i te toa takitahi, engari, he toa takitini – Success is not the work of one, but the work of many.” It is important that Māori thrive to succeed as individuals, but also thrive to succeed, grow and develop as a rōpū. Being a part of Te Hunga Pānuku is a prime example of this. We are a collective of growing and inspiring leaders for the future of Wakatū Incorporation. Not only has the Wakatū education scholarship supported me financially, it has supported me by ensuring that I stay connected with my cultural identity, whakapapa and tikanga. If you’re looking for a strong support system, I would highly recommend applying for any education scholarships or programmes that Wakatū has on offer. I am studying towards a Bachelor of Law and Bachelor of Social Science at the University of Waikato and I’m in my final year. I work part time at Oranga Tamariki –Ministry for Children as a Resource Assistant. My scholarship from Wakatū Incorporation supported me in being able to have all the resources needed to complete my studies. I would encourage everyone to engage and participate in the opportunities provided by Wakatū and become involved with Te Hunga Pānuku. These opportunities will build your networks and unlock future options and also allow to connect with our whānau and our whenua. If you are looking at studying law, I would encourage you to start reading for your own pleasure. Law involves a lot of reading so get used to it now and also take pleasure from reading for your own benefit and not only for study. Finally, if you are serious about studying law, understand that you don’t have go down the traditional route and practice law and become a lawyer. A law degree can just be the key to unlock areas of work that you never knew about. I believe learning never ends and we should strive to further our knowledge in whatever area we are passionate about. I recently completed my Chartered Accountants Program and I am now a chartered accountant at Crowe Horwath, where I have worked for the past three years. The Wakatū scholarship means so much more than the financial benefit it provides, it's about being a part of something greater. The wider whānau of Te Hunga Pānuku is not only a way to tautoko each other but to connect and combine our skills for the betterment of our whānau. Thanks to the strength of our tūpuna we have the ability to steer the waka in any direction we choose and be the architects of our own future. Our tūpuna would be so proud to see how we have come together as a whānau and as kaitiaki. As an accountant I want to further the development of our people through financial literacy and igniting entrepreneurship and innovation, which are natural talents of our people. 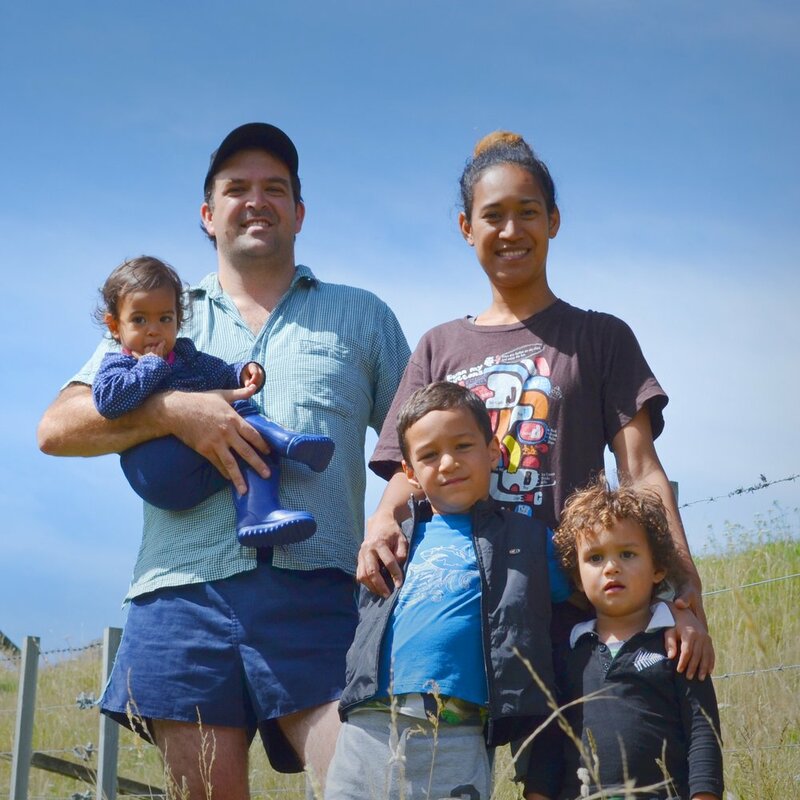 I’m proud to be a role model for my children – for academic success, for connection to Iwi and whānau, and also for my creative side. I have a keen interest in mahi toi, traditional weaving. My Nana was a skilled weaver and I’m continuing to build on the skills and knowledge she taught me. I am a software developer working in a field which has and continues to grow rapidly. Although I wasn’t much of a ‘techie’, I chose this industry based on the opportunities it presented and the feeling of achievement from producing a program out of thin air. For the last year and a half, I have been working as a CRM developer for a company called Whānau Tahi. Our products focus on supporting and empowering whānau aspirations for overall well-being. I have been very fortunate to receive a scholarship through Te Hunga Pānuku programme to help me graduate with a four-year degree. During the last five years with Wakatū, they have provided endless support and opportunities to grow my career and reconnect with my Māori heritage and culture. I have loved every moment and I look to contribute back to Wakatū in as many ways as possible. I would like to strongly encourage any current or future students to apply. And if you are still undecided on what to study, it would be awesome to see more Māori in the IT industry! Remember, you don’t have to be a complete ‘techie’ to move to this industry. Hard work and passion will take you a long way! “I am passionate about our relationship as Māori to the whenua and have based my career around sustainable land use and production. I work as an Environment Extension Manager with Beef & Lamb New Zealand specialising in building the relationship we have as farmers and growers with our environment. I completed my qualifications with the support of Wakatū Incorporation. As part of my study, I travelled to Antarctica and spent time with the New Zealand Antarctic programme looking at different aspects of seal migration and glacial movements. Part of this study also looked at the relationship we as Māori have with Antarctica and historical accounts of navigation in Antarctic waters. I am very grateful for the support and really encourage our people to take up the challenge and change the reality of their whānau and themselves. As a trained environmental scientist Tuaiwa started her career at NIWA (National Institute of Water and Atmospheric Research) where she was instrumental in developing an easy to use estuarine tool-kit for Iwi and hapū to monitor the health of their coastal resources. Empowering Iwi and hapū to utilise science, and giving them the tools to determine what’s really happening with their resources has been an ongoing passion for Tuaiwa that led her to the world of television where she associate produced, directed, researched and coordinated for Māori Televisions science series “Project Mātauranga” and “Project Whenua.” Currently Tuaiwa is coordinating a Coastal Dune Restoration Project on some Wakatū whenua at Mārahau. She sees it as giving back to the whānau who have supported her in education. The Associate Director and Associate Manager programme provides our Owners with the opportunity to gain experience in the governance and management of Wakatū. As Wakatū grows and our organisation becomes more complex, it is vital that future Directors and Managers are equipped with the commercial and cultural skills and experience required to govern and manage our taonga. We are looking for applicants with business acumen and at least ten years sound commercial or professional experience in the areas that are relevant to Wakatū (for example, Whenua, Kono and Manaaki). We are also looking for people who are committed to the positive development of the whānau of Wakatū, in accordance with our values and tikanga. Applicants must be Owners (shareholders, descendants of shareholders, or a member of a whānau trust holding Wakatū shares). To apply, please complete the on-line form and include a 500-word statement including your vision for Wakatū Incorporation and setting out why you want to be an Associate Director or Associate Manager. We support diversity at all levels of our organisation. Applicants with diverse backgrounds, experiences, ability and perspectives are encouraged to apply. What is the difference between the Associate Director and Associate Manager positions? Both aspects of the programme are designed to provide applicants with the experience required to govern or manage Wakatū and our different governance entities and businesses. The Associate Director position allows the successful applicant to gain experience at governance level, while the Associate Manager position will gain experience of working within Wakatū and its associated businesses at the management level. Applicants for either position must be Owners (shareholders, descendants of shareholders, or members of a whānau trust holding Wakatū shares). Wakatū is looking for applicants with proven business acumen and experience or professional experience in an area relevant to the work of Wakatū (for example, Whenua, Kono and Manaaki). We are also looking for applicants who are committed to contributing to Wakatū and our development, in line with our values and tikanga. Can I apply for both positions? Yes. You must complete two separate forms (the Associate Director application form and the Associate Manager application form). As there is a difference in focus between the two positions, we recommend you specify in your accompanying statement your reasons for applying for each position. There is an online application form for each position. As part of the application, please include a 500 -word statement setting out reasons for wishing to be an Associate Director or Associate Manager, and your vision for Wakatū Incorporation. Applications close on Tuesday 31 July 2018. How much time is involved with the Associate Director and Manager positions? The commitment for both positions is approximately 16 days in total a year. Both the Associate Manager and Associate Director will have an induction programme which will include a two-day cultural wānanga, as well as site visits to our businesses. Both the Associate Director and Associate Manager are required to attend the annual general meeting (AGM) and the special general meeting. (SGM), the annual two-day strategic planning hui and a taiohi wānanga. research, complete and present a project. spend time in each business unit. Do I need to seek my employer’s permission? If you are employed (rather than self-employed) we encourage you to talk to your employer about the Associates programme. Previous Associate Directors and Managers have included their participation in the programme as part of their professional development programme. Participating in the programme may require you to take time off work. Wakatū Incorporation will meet all travel expenses incurred in particpating in the Associate Director or Manager programme, as well as a daily rate for the 16 days (approx) per year required to take part in the programme. Who have been our previous Associate Directors and Managers? Miriana is a Director on the Whenua Board, the Wawata Board (which oversees a JV relationship with ENZA), and is a member of the Audit and Risk Committee. Her qualifications include a Bachelor of Arts in New Zealand History and a Law Degree, majoring in Commercial Law. Miriana holds external directorships in a public and private capacity. Miriana was born and raised in Motueka and is of Ngāti Rārua, Ngāiterangi and Ngāti Ranginui descent. Missy was appointed as our 2014-2016 Associate Director. A chartered accountant and business advisor with 18 years experience nationally and internationally, she has been recently appointed to Te Huari Tika Trust – the Maori Radio Spectrum entity. Missy is a Director at KPMG in Christchurch. She spent her first year on the Kono Board and her second year on the Wakatū Board. Jim came to the Board with extensive knowledge and experience of the seafood and agricultural industries. He is currently CEO of a biological fertiliser company that focuses on improving the productivity of the land, while not only preserving but enhancing the environment. Jim resides in the rural town of Dannevirke and is of Te Ātiawa descent. Currently based in Banks Peninsula, and working as a Senior Farm Environmental Consultant, Turi has a keen interest in Maori agribusiness. 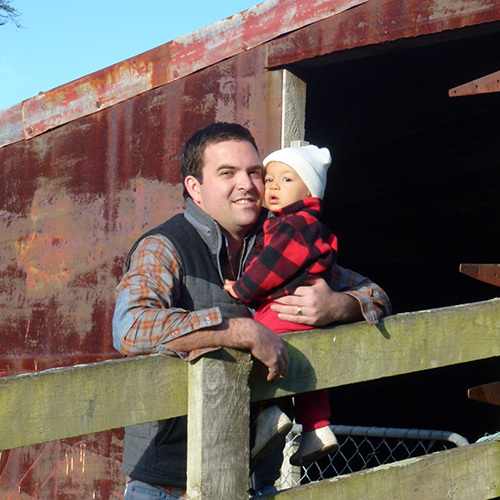 His background combining farm systems and natural resource management drives his passion to enhance the sustainability of New Zealand's primary sector. Turi has a Bachelor of Science (Agricultural Science and Ecology) and a Master of Applied Science, focussed on international rural development. In a previous role as Environment Extension Manager with Beef + Lamb New Zealand he specialised in building the relationship farmers and growers have with our environment. Turi was awarded a prestigious Nuffield scholarship in 2018 for emerging leaders in the agricultural sector. Turi is of Te Ātiawa, and Ngāi Tahu descent. Targeted taiohi wānanga are held annually – designed to invest in the personal development of our young people. Aimed at young people aged between 13-18 who connect into Wakatū Incorporation, the wānanga are focused on self-motivation, outdoor recreation, traditional values and identity. Each year we alternate between taitamawahine (young women) and taitama (young men). In 2019, the taiohi wānanga is for young men. The wānanga will take place between 30 September - 4 October 2019. Applications for 2019 will open on Monday 8 April 2019 and close on 31 May 2019. I became interested in the wānanga when my mother mentioned that it was available to both my brother and I. I thought it would be a good idea to go so I could learn about my Mum’s and her Dad’s side of the family, their heritage and whakapapa and to meet some of my distant relatives. On the wānanga we went for a hike through the Able Tasman, went kayaking, used the waka ama, learnt about our heritage on our Wakatū side, visited the sacred puna, made a hāngi and learnt some awesome kapa haka pieces which we performed on the final day. We also got to meet whanau we had never met before which was awesome! I really enjoyed the kapa haka because I am a big kapa haka fan and haven’t been able to do it at my school for a while so to do it after a long time was really fun. After the wānanga I felt so happy I had such a good time, but I was sad it was over so quickly, by the time we had all got to know each other it was time to leave. 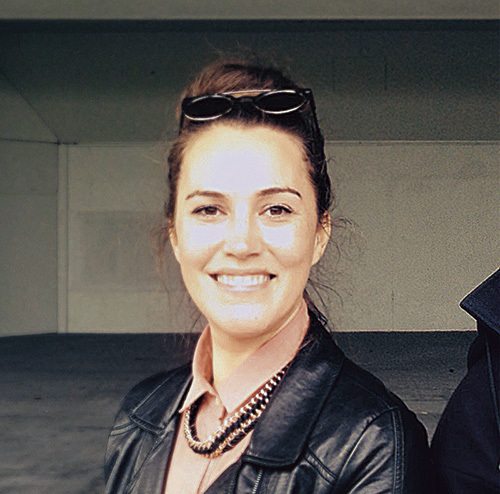 The Wananga has helped give me a better understanding of my Ngāti Rārua Te Ātiawa heritage. It has also made me more sociable as I am usually quite shy, but I surprised myself with how close I became with the other boys and the leaders. The wānanga is an amazing experience and is a once in a lifetime opportunity. I had one of the most life-changing and breathtaking experiences of my life just by taking part in Wakatū Incorporation's Wānanga. We learnt about our ancestry, the land, the camps we stayed at and a variety of waiata, actions and poi. I was one of the solo singers for the waiata and I was the youngest in the group. That experience gave me courage to carry on in kapa haka. Whaea Talei Morrison was our kaiako during the wānanga and she’s really cool! I also got to meet 12 other cousins I’ve never met before and that was awesome! I’m proud to be Māori, I’m comfortable with who I am and where I come from, and in some way I feel a stronger sense of direction. It's all been a positive learning experience and if I’m ever given an opportunity again I’d definitely take it. Connecting our whānau whānui with our identity and legacy. The focus is on connecting owners living in Te Tau Ihu with the heritage of our customary land through outdoor recreation. Participants embark upon a journey retracing the cultural footsteps of our ancestors. It includes travelling by waka, boat, bike and waewae staying at a marae in Nelson, Motueka and Golden Bay.